This rectangle shower base has an offset drain location. It’s unique design incorporates a threshold on both long sides giving it the versatility to be used in a left or right hand application. 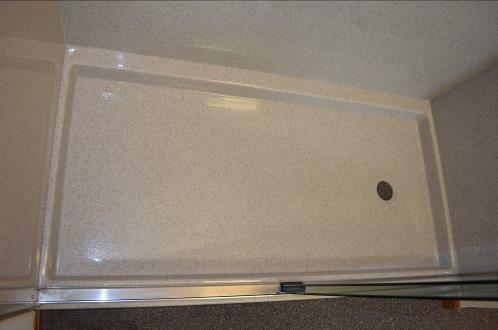 The shower base is used frequently when replacing or converting an existing cast iron or fiberglass tub unit. 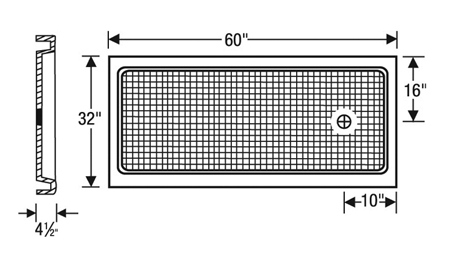 32" x 60" x 4.5"
It features a slip resistant floor surface.